The Fertilizer Institute of Ontario Inc. In the late 1920s, Ontario fertilizer manufacturers were growing increasingly frustrated with the limited understanding of fertilizer held by both the farming community and by agricultural scientists. Looking for ways that they could co-operatively expand research and knowledge, representatives of major companies converged at an industry meeting. At that meeting, the foundations were laid for an association that would represent the fertilizer business and through which members and directors, while fierce competitors in business, could meet to discuss common issues and resolve problems in a neutral forum. This new organization was the Eastern Canada Fertilizer Manufacturers Association (ECPMA). In 1958-59, members of ECFMA were divided in opinion between those who wanted to expand into a national organization, and those who wanted an organization with a stronger provincial focus. The assets of ECFMA were eventually split between two new organizations, the Canadian Fertilizer Institute and the Plant Food Council of Ontario. Letters patent for the Plant Food Council were granted on July 21, 1959. The stated objectives of the PFC were to: promote and improve the manufacture, distribution and intelligent use of plant food in Ontario; encourage sound agricultural practices so as to maintain and improve soil fertility; promote good relations between the industry and the public; provide a forum for members to accumulate and disseminate technical information regarding the use of plant food; and co-operate with colleges and other organizations in activities designed to improve the knowledge of plant food. In March 1975, the Public Relations Committee recommended that the organization's name be changed to The Fertilizer Institute of Ontario; the recommendation was adopted at the 1975 annual meeting and TFIO President Walter Burton noted that the change would better reflect "who we are, as well as who we represent." TFIO's mission statement advocated dedication to the advancement, promotion and protection of crop production products, agriculture and environment in Ontario. Services and benefits of membership included government liaison, newsletters and information distribution, educational seminars and workshops, agricultural research with colleges and universities to improve fertilizer use and protection of the environment, and scholarship awards to Ontario colleges and universities. The Ontario Grain & Feed Association was incorporated in 1965 but its history dates back to the formation of two trade associations earlier in the century. 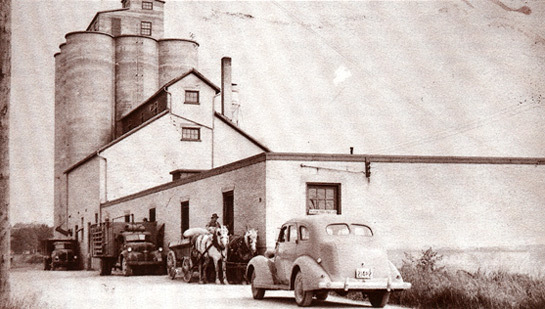 The Ontario Elevator Association was formed in 1927 as a response to the threatened formation of a provincial co-operative wheat buying pool. The Ontario Retail Feed Dealers Association was formed in 1944 as feed dealers were confronted with problems caused by the implementation of wartime regulations, and realized they required a unified voice. Both organizations grew and offered a variety of services to their members. The two groups developed a close working relationship as many issues of common interest arose. 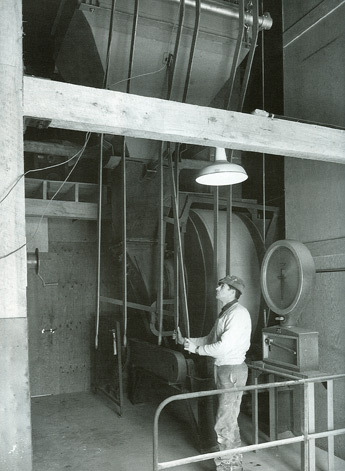 In 1955 an agreement was negotiated between the two organizations for the ORFDA to provide managerial and secretarial services to the Elevator Association for an annual fee of $1,000. As the two organizations continued to work together, unification of the two organizations seemed inevitable. Discussions began in 1964, and the first Annual Meeting of the Ontario Grain and Feed Dealers Association was held on December 7th, 1965. In 1992 the Ontario Grain & Feed Dealers Association amalgamated with the Canadian Feed Industry Association (Ontario Division) forming the Ontario Grain & Feed Association. At the same time voting privileges were extended to Associate members of the Association. The Ontario Agri Business Association received its Letters Patent as a Corporation Without Share Capital from the Ontario Ministry of Consumer and Commercial Relations on May 25, 1999. After careful consideration on the logistics and legalities of effectively combining the operations of both The Fertilizer Institute of Ontario and the Ontario Grain & Feed Association into the Ontario Agri Business Association, the decision was made to proceed with a three party amalgamation. The amalgamation agreement was presented to the respective memberships at annual and special meetings held during the latter part of 1999. With the approval of the amalgamation agreement by the memberships of all three organizations, all assets subject to liabilities of both The Fertilizer Institute of Ontario and the Ontario Grain and Feed Association were formally transferred to the Ontario Agri Business Association effective December 31, 1999. What is the Ontario Agri Business Association? It is a voluntary, non-profit organization consisting of firms engaged in the crop inputs, country grain elevator, feed and farm supply business. The activities of the Ontario Agri Business Association are funded through annual dues assessed to regular, branch and associate members. In general terms, the primary objective of the Ontario Agri Business Association is to promote and represent the interests of the crop input, grain and feed industry, and related agricultural businesses operating within Ontario through the effective delivery of products, programs and services. In general terms, eligibility for Regular Membership in the Ontario Agri Business Association shall be limited to those persons, firms or corporations engaged directly in the manufacture, blending and merchandising of fertilizer, the operation of a country elevator, the manufacturer and/or merchandising of livestock, poultry, aquatic and specialty feeds, the operation of a general farm supply business, or any combination thereof. Any Regular Member who operates branch locations in the fertilizer, country elevator and/or feed and farm supply business is eligible to join such wholly owned or controlled branch locations as Branch Members. Those firms carrying on a business that has a mutual interest in the crop input, grain and feed industry, but are not directly operating a fertilizer business, country elevator and/or feed and farm supply business are eligible to become Associate Members. All applications for membership require the approval of the Association's Board of Directors. Applications for membership shall be submitted to the Association office on a prescribed application form.